What a great feeling to get away from home, but it is even better when your holiday is affordable as well as exciting. 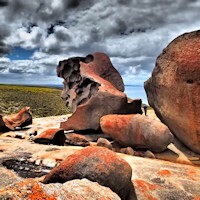 Adelaide is the best gateway to the world-famous Australian Outback in the north, the scenic Great Ocean Road to the east and the wild Eyre Peninsula Coast to the west. Whether you seek a wildlife experience, a fun-filled adventure, cultural activities or a slice of sunny beaches, we offer fabulous group tours and private charters in Australia. Adelaide is surrounded by premier wine regions with exceptional food, wine and local art. Barossa Valley, McLaren Vale and the Adelaide Hills just to name a few. With our stunning Kangaroo Island and the Mighty Murray River right on our doorstep - Adelaide really has it all. Are you touring as a single, as a couple, with a friend or in a group, we offer the right tour for you. Spend your holiday travelling to the Flinders Ranges, Lake Eyre or Arkaroola Wilderness. Get up close with sea lions on Kangaroo Island, or cruise the Mighty Murray River. 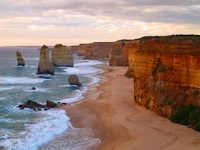 Witness a sunset at Uluru and along the Great Ocean Road or watch the whales at the Head of Bight. 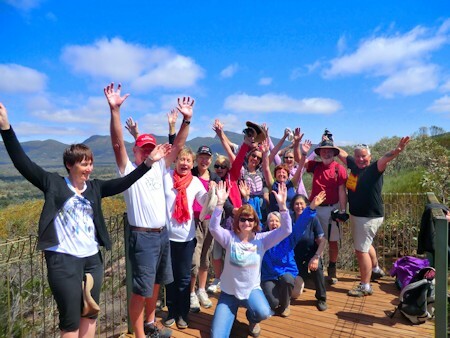 Join one of our fabulous bus tours in Australia and travel in a small group with a maximum of 20 happy passengers. Or enjoy the luxury of a private 4WD tour to a destination you desire. Become one of our frequent travellers and join the Truely Tribal Tribe.